The ARF is devoting 2019 to working with its members on empirical research that can help to shape industry standards for cross-platform audience measurement and advertising attribution. Until then, tension will exist among the buy- and sell-side, along with the plethora of companies offering measurement and attribution solutions. The latter was evident at the recent CIMM Cross-Platform Video Measurement and Data Summit in Manhattan. 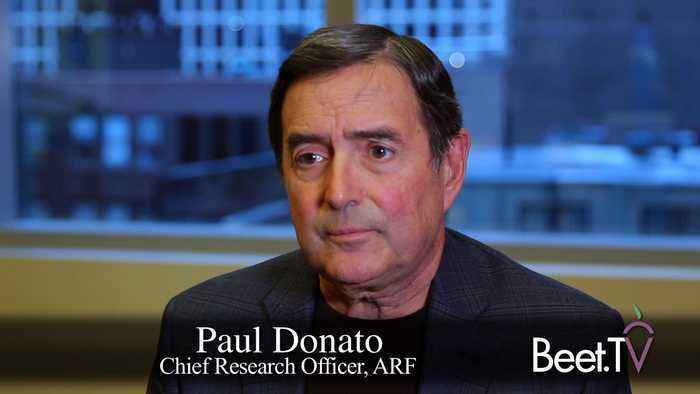 Referring to a panel discussion on cross-platform standards, ARF Chief Research Officer Paul Donato says in this interview with Beet.TV, “It was a nice polite session. It showed some of the sort of two sides of the story. We’re pretty close to all the members and it’s really quite controversial.” One aspect of cross-platform measurement in particular divides digital players from those in linear television. “There are some mostly in the digital space that feel like there should be no real time duration, waiting, and are very much against it,” Donato explains. Those in the traditional linear TV space “who typically have longer ads tend to support the standards as they exist right now." The ARF will be working with its members on research that “goes right to should it be a linear waiting for time or is it non linear? I personally believe that the impact of advertising is non linear, which means eight seconds is not quite as good as four seconds, but the first four seconds have more value than the next four seconds.” On the attribution side, there are anywhere from 15 to 30 attribution providers “all using different models,” says Donato. “I will say that what concerns a number in the industry is actually understanding the models and how they actually work and how to actually validate those models.” He cites a common scenario wherein an attribution company will present to the CMO of a marketer, who then typically asks in-house researchers whether they understand how the company’s offering works. “A lot of what CIMM does and much of what we’ll do moving forward in 2019 is to actually study those models and try to understand the biases associated with them.” Some CIMM attendees feel that progress is being made on cross-platform measurement, for which companies like Nielsen and Comscore received “soft compliments.” Because a lot of viewing is coming off of linear television and moving to other places, “it’s not surprising that the programmers are concerned that there’s still what they’ve been calling blind spots, places which are not part of the measurement system,” Donato says. “It’s really important to the media that all of those tiny pockets of non measurement be measured. That’s the stress that you see. 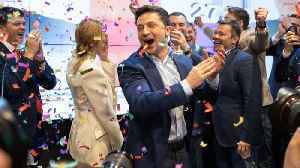 Every percentage of inventory counts just given the value of that inventory.” A year from now, he’d like the ARF to have achieved a better understanding of attribution models, partly to determine whether “a lot of the attribution models really disadvantage upper funnel media, because we don’t have that sort of granular data for individuals in television.